Inverters are used to convert the direct current voltage to alternating current which is necessary for some kind of devices. Solar power sources produce direct current and store it inside the batteries. However, some machines are used like home applications, does not work with direct current. At this point, inverters are used for transformation of the electricity. They does not produce electricity. The other feature of the 5000 watt solar power inverter is arranging the voltage and frequency value and supply clean power for the systems and machines. Mak Plus Power Systems produce power solutions for long year, solar power inverter production is one of the our area of expertise. We produce high quality 5000 watt solar power inverters which is convenient with your requirements. 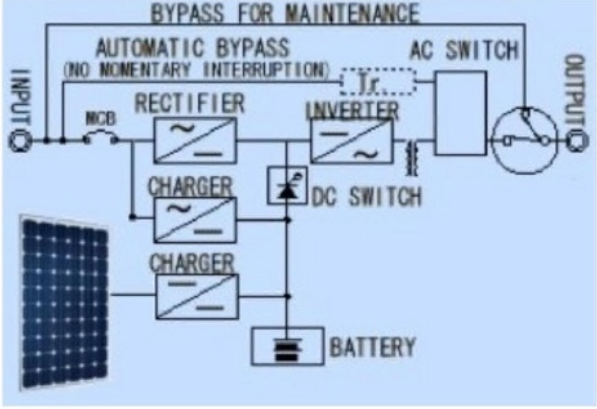 It is really important to choose correct solar power inverter. That’s why, if you are not sure, you can contact our long year experienced team. We understand you correctly before we give you solar power inverter offer. 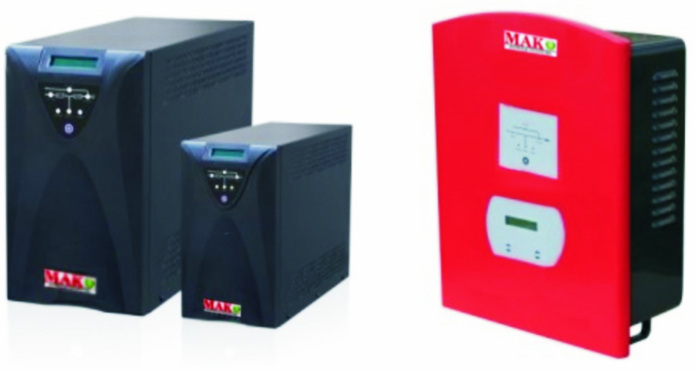 Mak Plus Power Systems, produce solar PV inverters and UPS. The Solar charged 5000 Watt inverter solutions can operate at their optimum power output voltage even under variety of weather conditions. To ensures your customers an optimum returns, Mak Plus Power Systems' solar 5000 Watt UPS inverter also allow a wide input voltage range to generate maximum 92% e­efficiency. Besides, it offers user friendly design and mobilized electric for rural areas as well. Bundled with monitoring software, and a regenerative and photovoltaic and a solar energy solution. Mak Plus Power Systems, Solar charged 5000 Watt inverter can help users to monitor and calculate the accurate saving energy using regenerative solar energy. As well as reducing heating problems on the machines. Solar photovoltaic 5000 Watt, solar panel connected uninterruptible power supply has integrated rectifier, solar charger, inverter. Please ask us if you need customized solar charged, inverter solutions that we can develop as well. The 5000 Watt solar charged connected inverter is used to increase the efficiency and usage of the solution with using PV, regenerative, renovate solar PV energy. Solar charger connected UPS solutions are used to charge batteries and supply the DC bar primarily from solar energy. The current from solar charger is used to increase the power on the batteries. If the solar is not needed thanks to smart control from main board of the solar charged connected 5000 Watt Inverter. The energy comes from normal grid or battery by adjusting the battery charged level to increase the battery life time. Mak Plus Power Systems is always here to help you whenever you need. Please do not hesitate to contact with us.